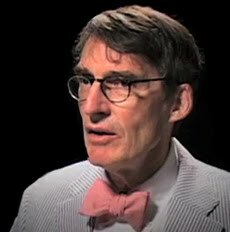 JIm Grant: "Fed Has Fingers & Thumbs On The Scales Of Finance," - "Will End Badly"
Jim Grant explains to an almost stunned into silence Rick Santelli how we all "live in a valuation hall of mirrors" as the Fed manipulates everything. Thanks to it's "fingers and thumbs on the scales of finance," Grant continues, the Fed "insists on saving us from 'everyday low prices'" - what they call deflation - and by doing so it manufactures "redundant credit" which "does mischief" in and out of markets. Grant, ominously concludes, "there is no suspense as to how [this will] end... [it will] end badly."